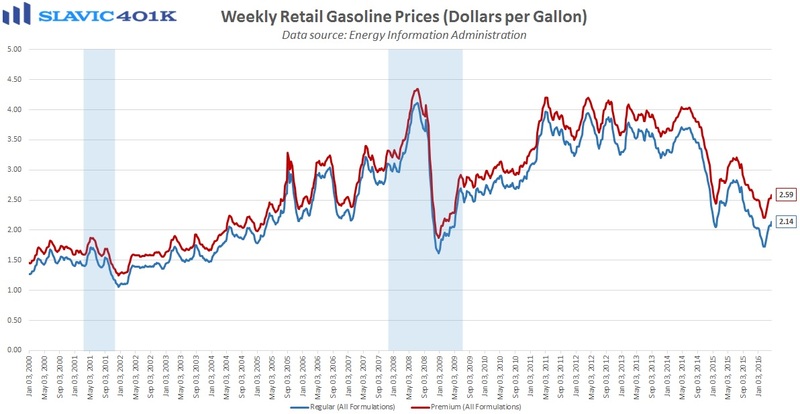 The latest data from the Energy Information Administration (EIA) showed that the national average cost for Regular gasoline in America jumped by seven cents to $2.14 per gallon over the past week, the 8th such increase in the past nine weeks and a rebound of 24 percent from the multi-year low of $1.72 per gallon hit in February. Regionally, the cheapest gas in the country can be found in Oklahoma, where a gallon of Regular costs just $1.88 on average. Residents of California again have to pay the most in the U.S. for Regular at $2.78 per gallon, with San Francisco also being the city with the nation’s highest average gas price ($2.89 per gallon). Gasoline has continued to rise along with the price of oil in recent weeks in anticipation of a meeting in Qatar where oil ministers were expected to agree on a production freeze that would help stabilize the price of crude. In fact, outright hedge fund positioning in Brent crude hit a record net long position of 403 million barrels last week ahead of the summit, and the combined net long position in Brent and West Texas Intermediate (WTI) lifted to the highest level since 2014. However, the oil ministers’ meeting did not go as planned and futures initially sold off in a kneejerk reaction. Prices quickly recovered, though, and are actually continuing to push higher this morning above last week’s pre-meeting levels. While it appears that the market is for now shrugging off the failure to reach agreement on a production freeze, the significant concentration of hedge fund long positions in WTI and Brent still suggests that conditions may be ripe for a short-term pullback. 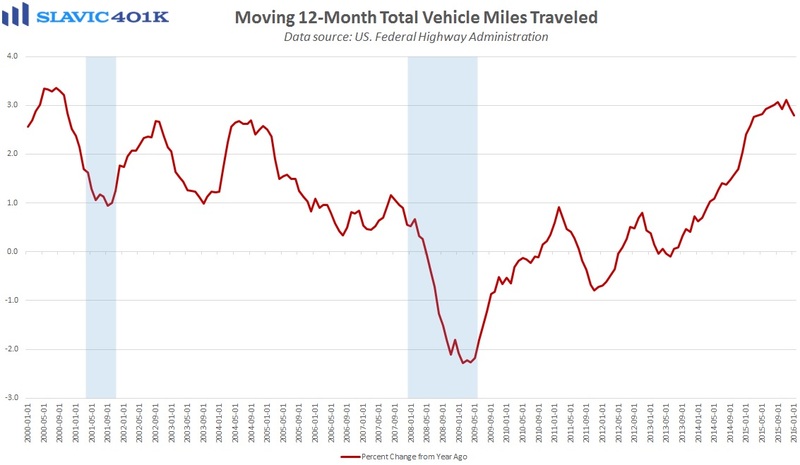 That could mean even better savings at the pump for consumers, although economists still doubt that this would result in a boost for retail sales because so far most Americans have responded to cheaper gasoline by simply driving more (second chart below).